Through the help of more than 70 volunteers and more than $25,000 in donations and donated time and goods, the Concordia Lutheran High School wrestling room recently received a much-needed upgrade. FORT WAYNE, Ind. 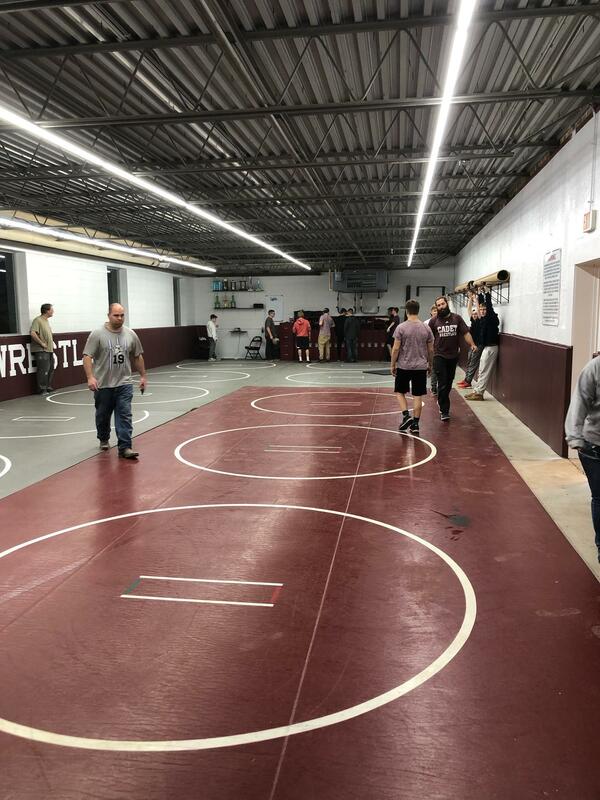 — Through the help of more than 70 volunteers and more than $25,000 in donations and donated time and goods, the Concordia Lutheran High School wrestling room recently received a much-needed upgrade. Over the Christmas break, scores of parents, Cadet wrestlers and alumni worked to clean and renovate a room that has had more than 50 years of use. The best part — they did it as a surprise for their coach, Jamie Jones, a 1991 graduate and former wrestler himself. Along with needed replacements to the mats, lighting and paint, the room now features memorabilia from the years of Cadet wrestlers who have come through the program, and the team is working on adding a wall to feature the team and individual champions since 1967, the first recorded championship of the program. See photos from the renovation on the Wrestling Facebook page.